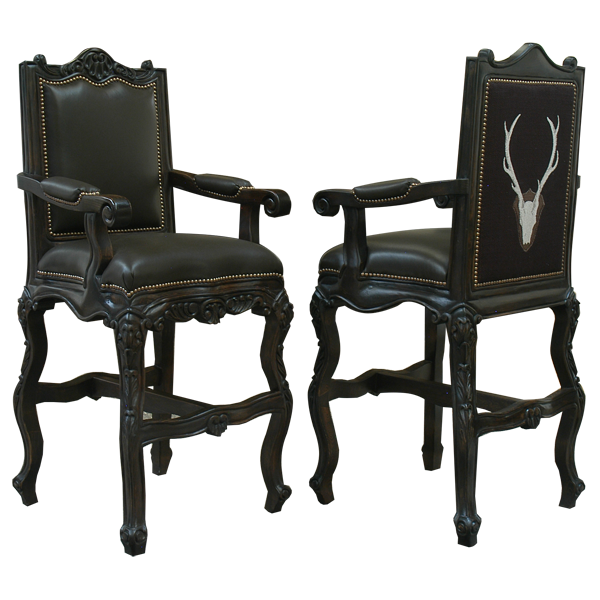 Take a journey through time with this magnificent Baroque style handcrafted stationary bar stool. This bar stool can transform your space and also incorporate details that reflect your personal interest. 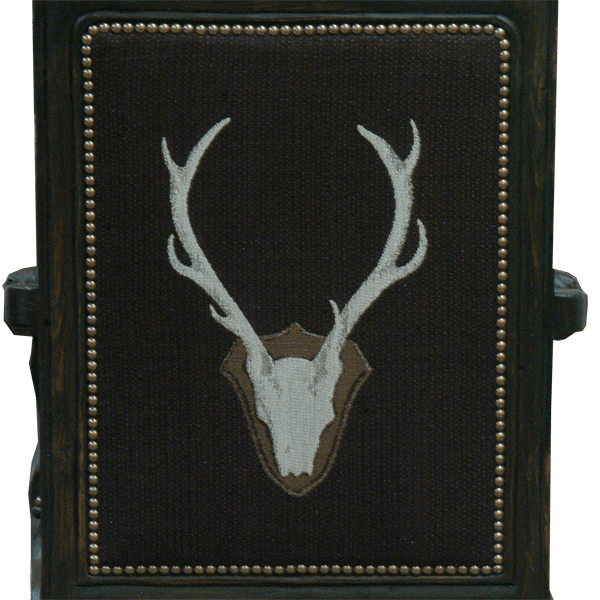 The reverse seat back of this imaginative bar stool is upholstered in fine fabric with an intricate design of a trophy deer mount. The seat and inside seat back are upholstered in luxurious dark chocolate colored full grain leather. The Spanish colonial influences are reflected in the ornate hand carved floral designs and scrolling in the main accents of the bar stool, including in the top crest, the body rim, and the main body. 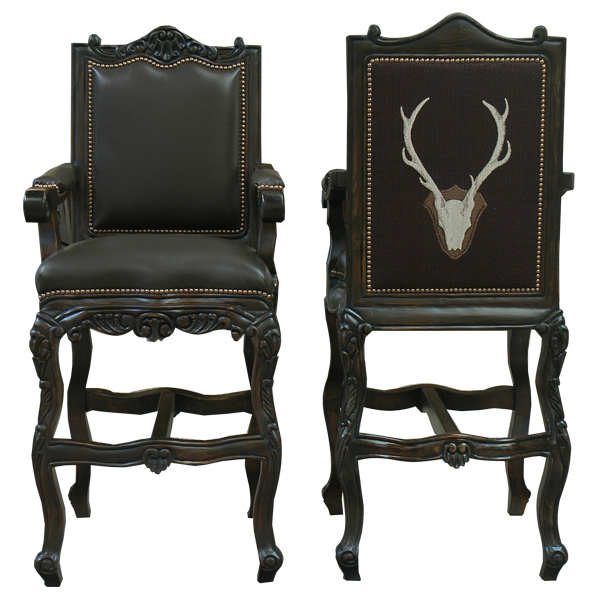 This bar stool has armrest, which are also hand carved and partially upholstered in dark chocolate colored full grain leather. 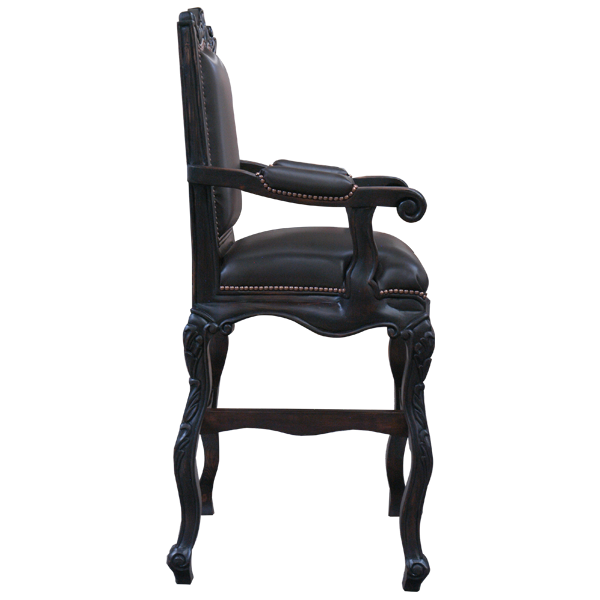 Its long cabriole legs are joined by a midway “H” stretcher with hand carved shells and tapered feet. All upholstery is hand tacked with precision to the entire body of the bar stool by our craftsmen. Both comfortable and durable, this bar stool is 100% customizable.